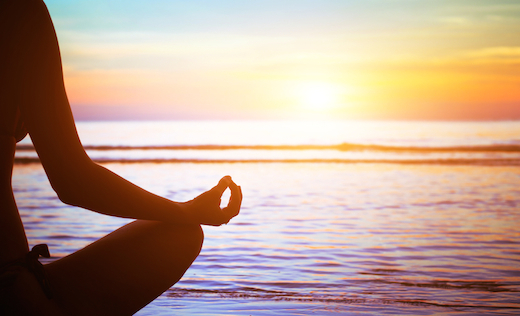 Do you Practice Mindful Fitness? “Many of us are constantly looking for an alternative to the non-stop, stressed out, fast food lives we are living which are driving us to exhaustion, and are responsible for the booming rates of conditions such as obesity, drug addiction and cancer. As fitness professionals we are responsible for illuminating another path that can help save us as individuals and the planet as a whole. It involves the simple concept of mindfulness. We cannot ignore this movement towards mindfulness and in fact we need to embrace it for our own benefit and the benefit of every life we touch.. So true right?? Before I started practicing/studing yoga I would’ve read this article and laughed, actually I never would’ve made it past the first paragraph as I was guilty of living life in the fast lane; constantly thinking and worrying about tomorrow, what I was going to do next, what meal I was going to eat, who I was going to train etc. Now I am the complete opposite! 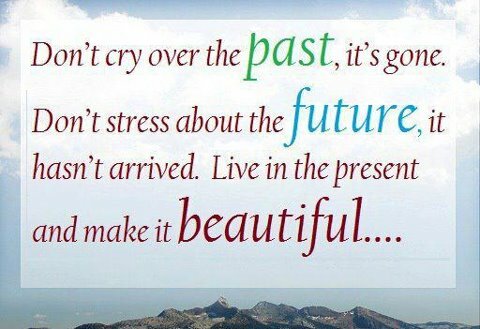 I really do my best now to live in the present, and I am much more aware of what I am doing, feeling, thinking at the present moment. Let me tell you, my stress levels have decreased dramatically! I am also a much better listener as I actually listen and give other people my full attention instead of having 100 thoughts and scenarios going through my mind! This also relates to success with my workouts. Hence, in order to have success in your fitness, you must clearly define your goals and figure out why you are motivated to reach those goals. Are you motivated to lose weight? If yes, ask yourself why. 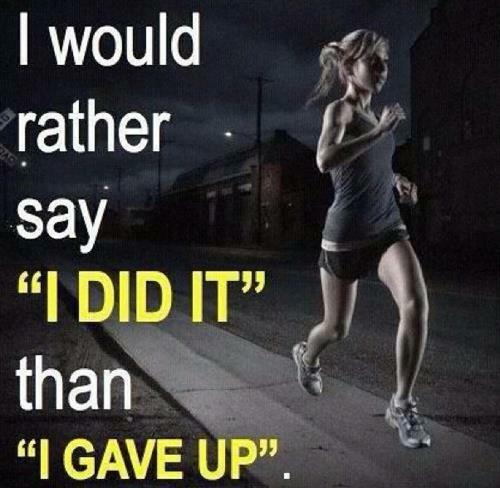 Are you motivated to run a 10k? Why do you want to do this? Be sure that your reasons are YOUR OWN and that you have not become swept up in another person’s dream or vision. Once you have defined your goals, write down what may get in the way of your progress (barriers). It could be time, lack of equipment, work commitments, childcare or other obligations. Just know that the same things that have been getting in the way of your success will continue to hinder you unless you avoid those roadblocks with workable solutions. Once your plan is underway and you have begun putting in the work to improve your fitness, there are additional things you can do to practice “Mindful Fitness”. 2. Pay Attention to Your Body by Learning to Differentiate Pain from Discomfort. Remember, you are not always going to be comfortable while you are exercising (ask my clients, if it burns it means it’s working!). It is tough work and you must get comfortable being uncomfortable. Pay attention to your body by learning to differentiate between pain and discomfort. It is often quite uncomfortable running up a hill. You might be breathing heavy and if you are not used to that you may not like it. However, your foot should not hurt simultaneously. Be aware of pains and twinges that may lead to an injury down the road. If a specific mode of exercise hurts you, then you may need to find another one that suits your body better. Listen to your body and be conscious of what it can do. Practicing “Mindful Fitness” is also about noting your progress so that you have a clear vision of your past when your perception may become skewed. For example, how would your body be affected if you began walking one mile per day? Well, one mile will burn about 85 calories. Therefore you would burn an additional 595 calories per week or 30,940 calories per year if you regularly practice this. That equates to a loss of 9 pounds per year, not to mention all of the other health benefits that you cannot physically see. Sometimes change seems so slight that you feel you are not making progress. 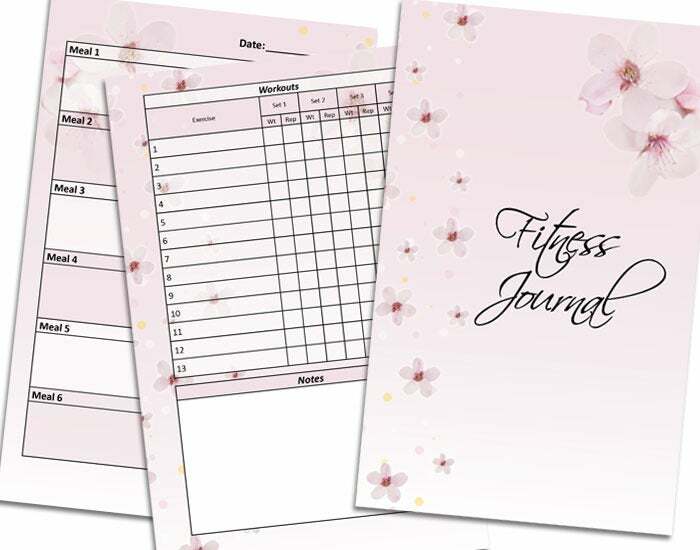 If you keep a fitness journal, you will appreciate being able to look back and see how far you have come. Understand that making small incremental changes will eventually lead to big results. Finally, accept that there will be times when you are going to backslide and miss your workouts. Even the pros go through this. When it happens, revisit your goal sheet and reevaluate your motivations. Give yourself permission to amend your goals or your motivations and become determined to continue moving forward one small step at a time. “Mindful Fitness” is about creating a realistic plan, listening to your body and being aware of how it feels. Find your balance, choose activities that agree with your body and be willing to work hard to achieve your desired results. You won’t regret it. Meditation is the ultimate mindfulness activity. I still have yet to attend a meditation workshop or class. If you’re intimidated by meditation (as I am) keep in mind that in order to reap the benefits it doesn’t have to be for a long period of time but it should be done daily for as little as 5-10 minutes. Speaking of breathing and yoga, I will be teaching a yoga class this Sunday at LC Fitness Studio (1376 Bank Street, B200) at 1pm. Come and practice “mindful fitness” with me and you’ll leave feeling refreshed, re-energized, more flexible and very relaxed but most importantly you’ll be happy you dedicated 75 minutes of your day to yourself! Another successful 30 day challenge!! I decided to sign up for this challenge organized by Megan Campbell with the intention of getting into the habit of doing yoga every single day. Yes I know, I’m a new yoga teacher so I should already be practicing yoga everyday, well I have to be honest, while I have been doing yoga at least 3-4 times a week I haven’t been doing it everyday! I guess all I needed was a little 30 day challenge to get me on the right track! After all, many spiritual traditions refer to 30 days and the power it has to transform habits, relationships, jobs, patterns. It’s within that time span you gain the power to make or break habitual patterns and ways of living. I found that during this challenge I was very diligent and made time to get on my mat everyday (except for one day but I did it twice the following day, not sure if that counts but oh well!) At first I was taking advantage of the free yoga classes that we being offered at Pure Yoga Ottawa but as my days started getting busier I found that I was really enjoying doing my own practice at home! The hardest part (just like anything else) is getting there on your mat (showing up), connecting with your breath, taking the time to relax and giving yourself a few moments to feel grounded and at peace. Once I get there it is always feels so good and I always finish feeling better and as though I’ve accomplished something 🙂 What’s even better is I get a great stretch out of it and depending on my mood and energy levels, a great core workout! So do I think that everyone should try doing yoga every single day? Is it the best way to become happier, healthier and more in tune with your body and your surroundings!? OF COURSE! But don’t take my word for it, you’ll have to try it yourself! Many yoga studios offer first time visitors a first time unlimited intro month special (for example at Pure Yoga they offer an intro special of $40 for unlimited yoga your first month!) If going to a yoga studio everyday is not feasible for you there are many other options…check out my friend Sarah’s video series called Surviving Yoga for more tips on how to get started in yoga and how to stay committed to a yoga practice. Now if doing yoga isn’t something that interests you THAT IS OKAY!! 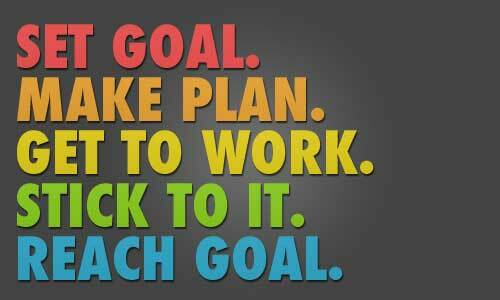 Maybe you have other goals you want to achieve or habits that you want work on. My Mom (for example) has done a few 30 day challenges but her first one she went without wine or beer for 30 days!! Sounds tough right?? She thought so too, but after only 2 weeks of no drinking she didn’t even feel like she wanted to drink. She also was happy because she lost weight, trimmed inches and felt so much better! In fact, since the challenge (8 months ago) she rarely drinks at all anymore! Imagine that?! So are you sick of having hang overs or want to get rid your beer belly? I dare you to challenge yourself to going without any alcohol for 30 days. Once you get past the first week or turn down an offer to go for drinks with a friend you’ll be able to do it for the rest of the month! You’ll be amazed how much better you feel and look (less bloated, more energy, less cravings etc). And yes, you might ‘accidentally’ have a drink during the challenge but don’t beat yourself up about it. Just acknowledge what you did and move on! We are human, we make mistakes, bad decisions etc. It’s not the end of the world. But don’t ever give up because at some point you’ll get sick of constantly ‘starting over’. I plan on continuing to practice yoga everyday, I find I really miss it when I don’t do it 😦 Now that’s a good thing! In case you haven’t gotten the point of my post yet, here it is….SET A GOAL, TELL YOU FRIENDS, PICK A DATE, COME UP WITH A PLAN (do a 30 day challenge), SURROUND YOURSELF WITH A SUPPORTIVE GROUP/FRIENDS, STICK TO YOUR PLAN and the best part–> CELEBRATE YOUR SUCCESS!! Did you know that the beginning of next month starts on a Monday?? October 1, 2012; the perfect date to start working on your next goal…what’s yours going to be?? I’m going to begin preparing for a figure competition next spring 😉 The 7 month countdown begins!! Also, don’t forget I am teaching yoga this Sunday at 10am at LC Fitness studio. It’s an all levels class and only $10 dollars for a 75 minute class. Bring your own mat, a water bottle, a towel and a friend. Stay tuned for updates on new class times starting in a few weeks 🙂 Hope to see you there! !